A program run by the U.S. Marshals Service that was created by the Organized Crime Control Act of 1970 in order to protect witnesses or whistleblowers as a result of their testimonies in criminal court cases. This program is officially called the Witness Security Program, and it places witnesses under 24-hour protection during the court cases in which they are informants. Upon completion of testifying in court, the witness and their family have the option to be provided with new identities and relocated. After the relocation, the family is provided with monetary help for a period of time and assistance in finding jobs. According to an interview with the creator of this program, Gerald Shur, 95% of people in witness protection are criminals of some kind, but only 17% of this protected population go on to commit another crime. This program has a good track record and no witness who followed the directions of the program has been murdered since the program’s inception. 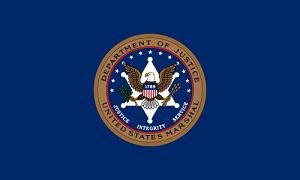 "Flag of the United States Marshals Service" by Fry1989 is licensed under Public omain.